Let our Edmond Area Chamber of Commerce Ambassadors welcome your business to Edmond. Increase your company’s visibility with a grand opening, ground breaking or anniversary ribbon cutting with the Chamber. 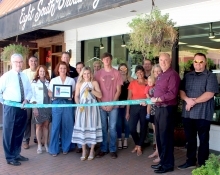 To schedule a ribbon cutting for your business, contact Brittany Willison or give us a call at 405.341.2808. 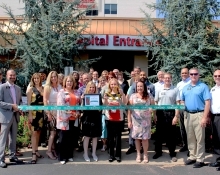 OU Medical Center Edmond recently held a ribbon cutting with the Edmond Chamber to celebrate the remodel and launch of their new outpatient psychiatric program. 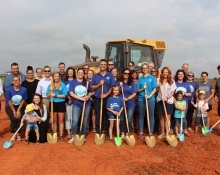 Oklahoma Swim Academy recently held a groundbreaking with the Edmond Chamber to celebrate the future location of their new indoor pool facility due to open in 2019. Get Organized! 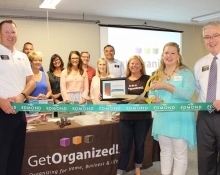 held a ribbon cutting with the Edmond Chamber July 26th to celebrate their grand opening in Oklahoma. 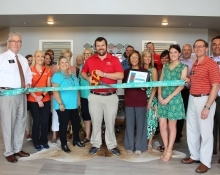 SpringHill Suites recently held a ribbon cutting July 25th to celebrate their new membership with the Edmond Chamber of Commerce. 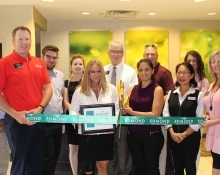 The Villas of Edmond held a ribbon cutting with the Edmond Chamber to celebrate the grand opening of its new location: 1100S Kelly Ave., Edmond, OK 73003. 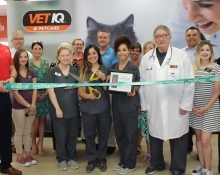 Vet IQ Petcare recently held a ribbon cutting with the Edmond Chamber on July 11th to celebrate their grand opening at 2200 W. Danforth Rd. in Edmond. 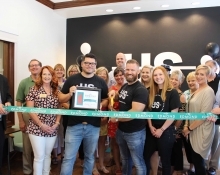 Unknown.Studio recently held a ribbon cutting with the Edmond Chamber to celebrate their one-year anniversary. The studio is located inside Vault 405 on the corner of Main and Broadway. Lulu and Lo’s held a ribbon cutting with the Edmond Chamber to celebrate their grand opening at 8 S. Broadway. 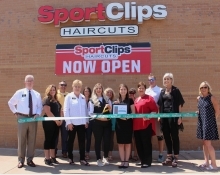 Sport Clips Haircuts, the nation’s largest franchise dedicated to men’s and boys’ hair care, will open June 26 in Edmond’s Danforth shopping center on 2000 W Danforth Rd. This new business is the latest of the franchise’s more than 1,700 locations across the U.S. and Canada, and the 12th for the Oklahoma City Metro area.